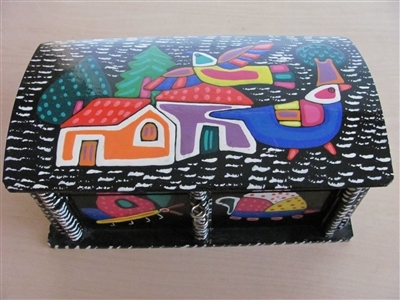 Hand crafted in El Salvador! 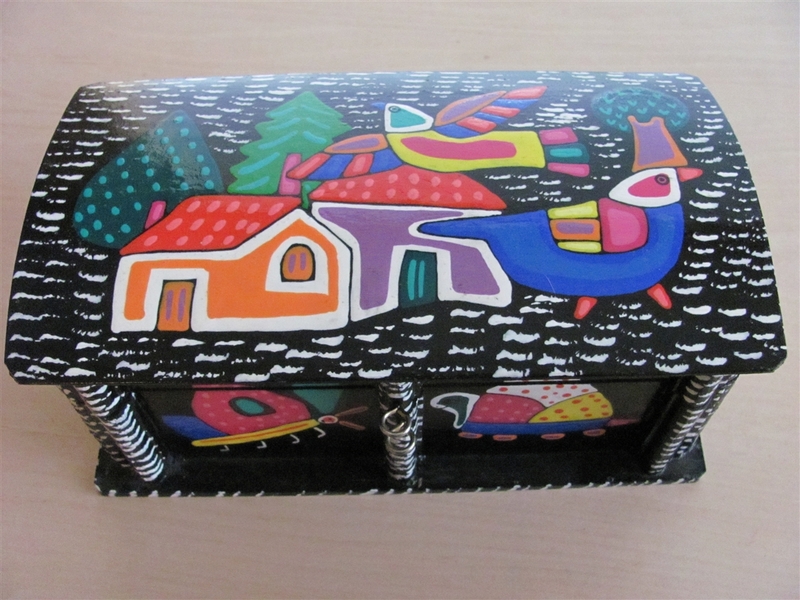 This decorative wooden box is made by artisans of the Cooperativa La Semilla de Dios in La Palma. 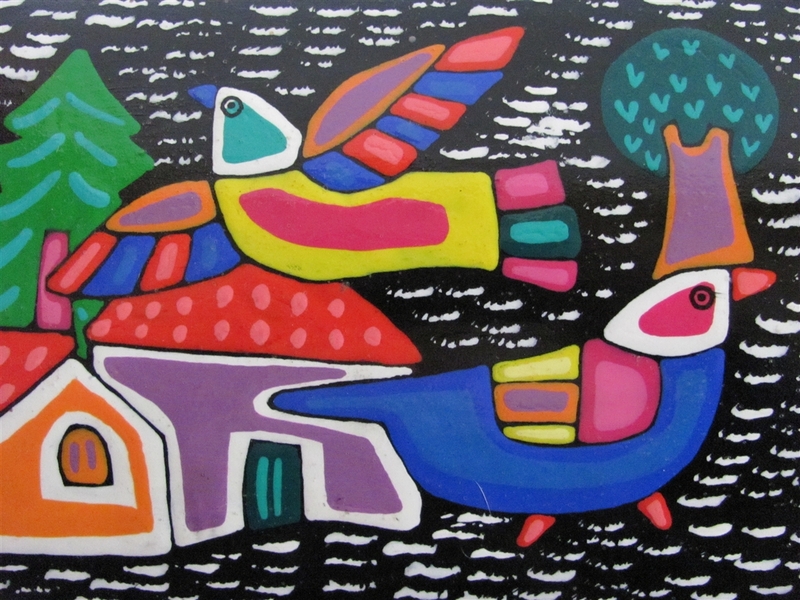 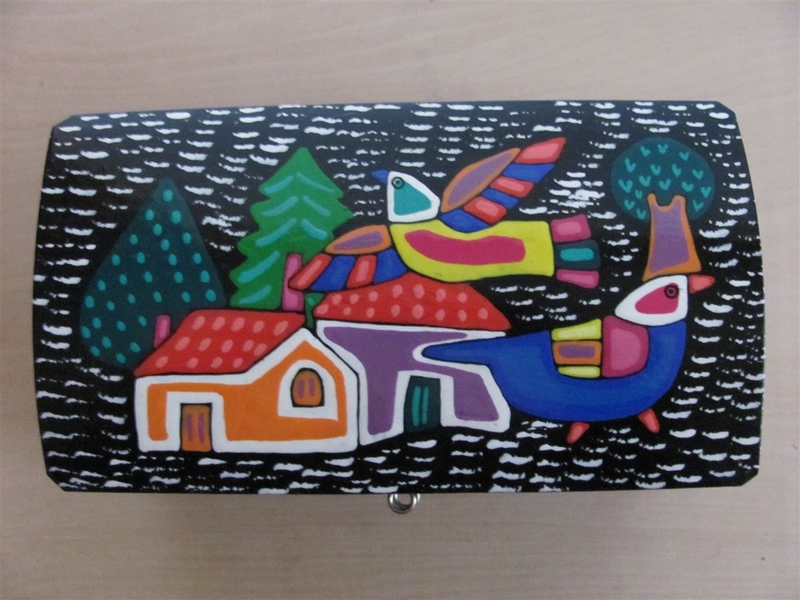 The festive folk art is inspired by the painter Fernando Llort who created the famous La Palma-style of painting. 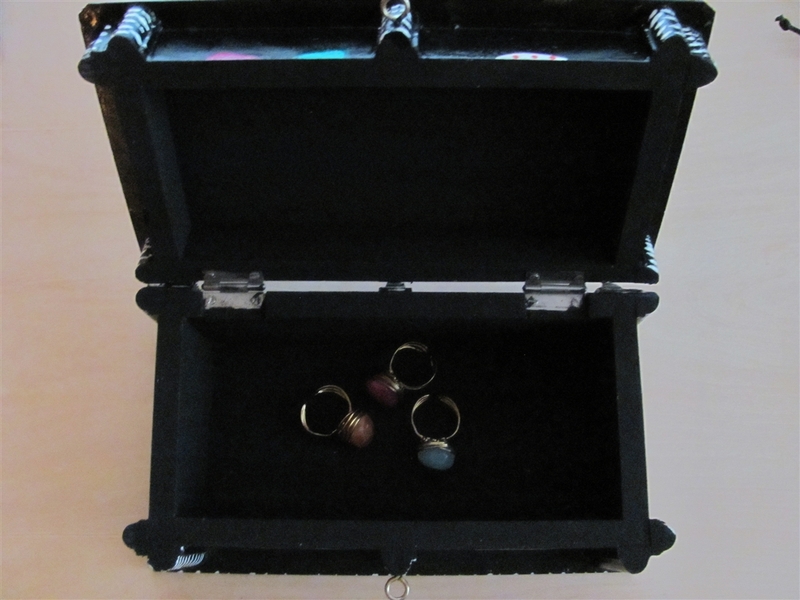 Dimensions: 9" x 5" x 4"